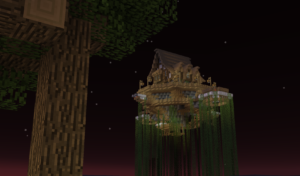 If you are the type of Minecraft player who loves challenges, Skyblock is for you! On Skyblock, you start marooned on a small island in the sky, with only a few items and a cow or a chicken. Increase your island’s level by building. Advance and get more items by completing challenges. Once you have enough materials, build a portal to Skyblock Nether, where you can complete more challenges! 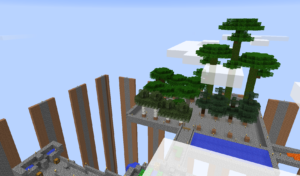 To get to Skyblock, do /island from any of the Blocklandia worlds. Below is a list of other useful Skyblock commands. /challenges View and complete challenges. 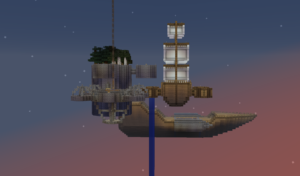 /island help View the complete list of Skyblock commands. /island controlpanel Opens the GUI control panel for Skyblock. 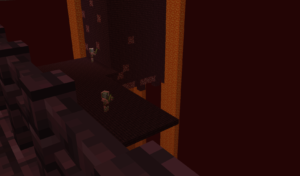 /island sethome Set the position where you teleport when you arrive in Skyblock. /island reset Restart your island. Warning: This command will delete your island and reset your island level and challenges! /island warps Show warps to other islands.